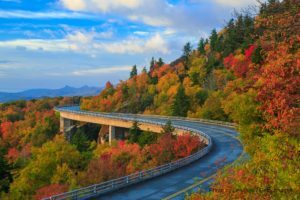 Fall is arguably the best season to come visit Western North Carolina. 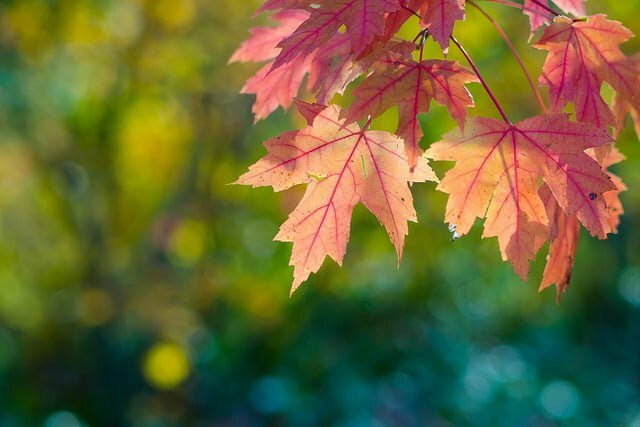 As soon as summer ends, the dense canopy of leaves changes from its usual green to magnificent shades of red, yellow, and orange in the blink of an eye. 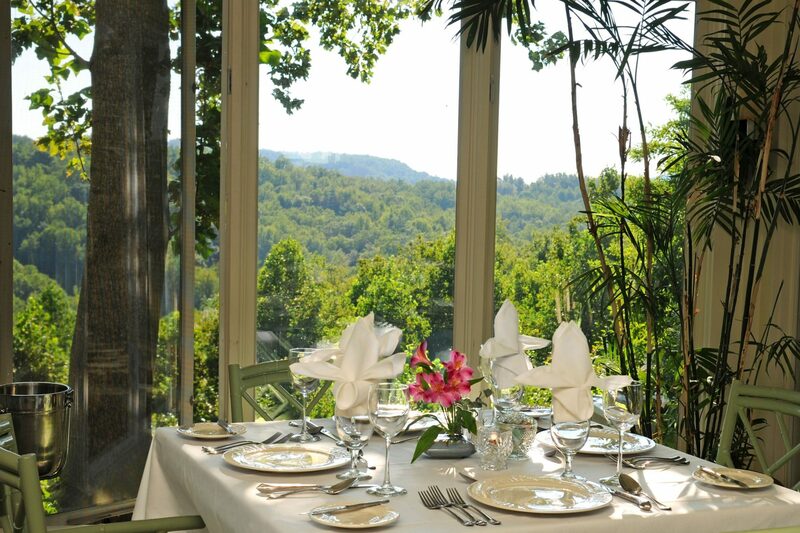 When you stay at Orchard Inn this autumn, you’ll get to experience the Western North Carolina fall foliage firsthand. 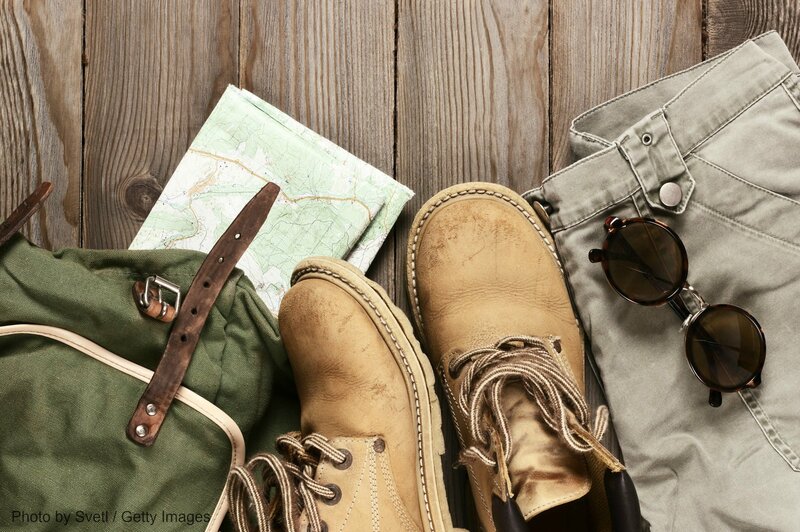 Access our complimentary Vacation Guide to get the inside scoop on planning your stay! When Do the Leaves Change in North Carolina? If you want to see Western North Carolina fall foliage, your best bet is to come during a peak time. The peak color usually occurs from mid-October to early November. The trees at the highest elevation change first, and the trees in the low foothills change last. It is not an exact science, but you can always look up a North Carolina fall foliage map and forecast! One of the best ways to see the Western North Carolina fall foliage is to go on a hike. This way, you can immerse yourself amongst the colorful trees! Every time a gust of wind blows through the forest, bright leaves flutter down around you like magic. 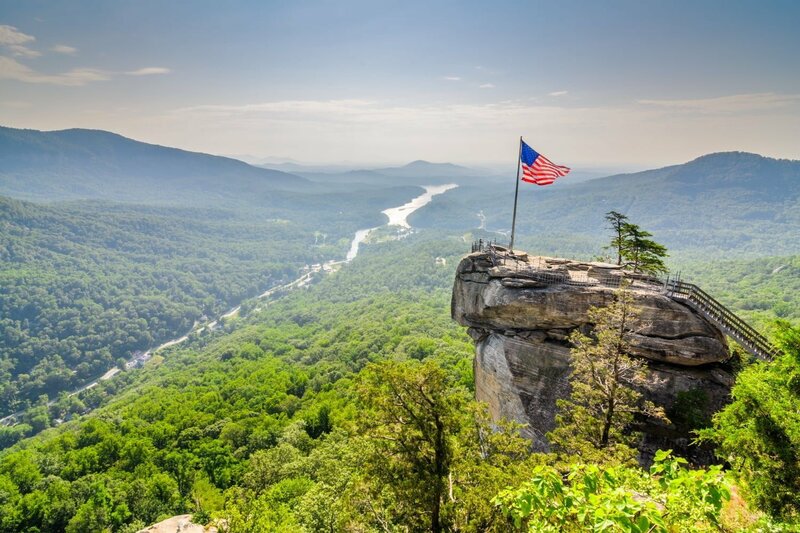 Choose a hiking spot with incredible views such as Chimney Rock State Park. There are multiple trails here that vary in difficulty, and you can see more than 75 miles of foliage from the top of the rock! 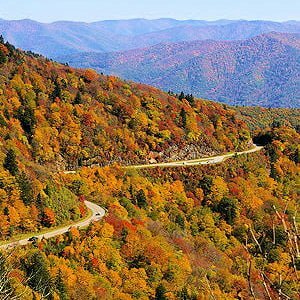 While a drive down the Blue Ridge Parkway is gorgeous at any time of year, it is especially breathtaking during the fall. This winding route features jaw-dropping views and outstanding outdoor recreation. Filled with thriving plants and wildlife, this is one of the best places in the state to visit for a relaxing trip in the crisp, mountain air. Make sure to stop at some of the scenic overlooks to take in the area’s natural beauty. You could easily plan your route, or just see where the road takes you! Get up close and personal with the Western North Carolina fall foliage when you zipline through the canopy! If you’d like to see the gorgeous colors in an exciting way, Green River Adventures can help. On their Zipline Canopy Tour, you will get to soar over the treetops while you enjoy the autumn colors. 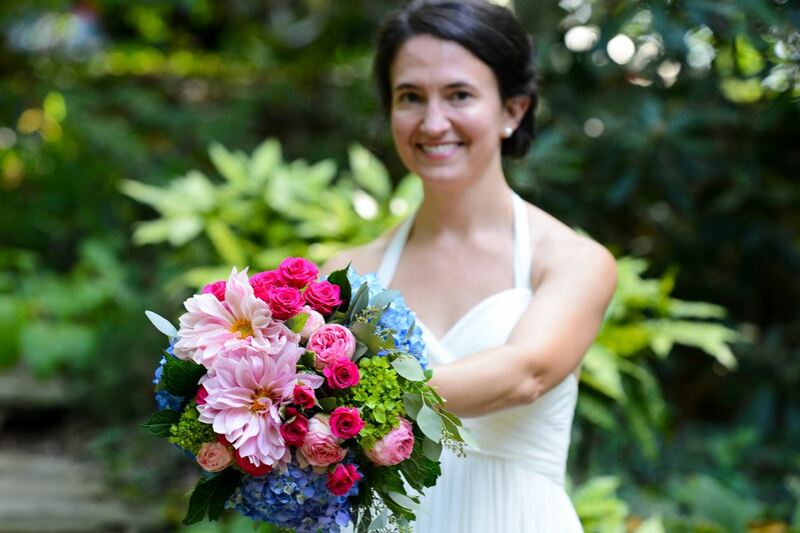 Come see the beauty of Western North Carolina fall foliage right from your accommodations at Orchard Inn! Our rooms and cottages have spectacular views of the nearby mountains, and you could spend hours on our large deck gazing out at the changing leaves. You can also witness the brilliant hues from our in-house restaurant, Newman’s. 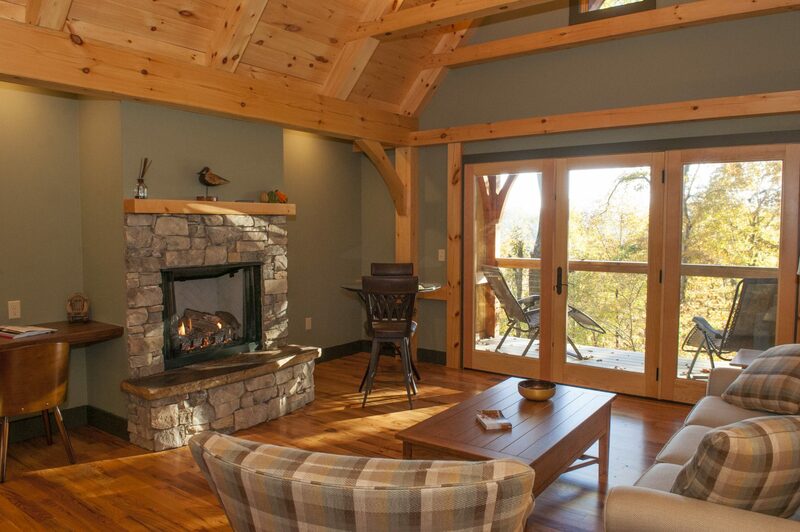 Surrounded by windows, it’s one of the best areas for leaf peeping on our property. 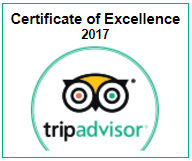 Book your fall stay today!